Description: This edited book series serves as a guide to the study of improved training, employment and administration of graduate and professional student development programs. A new publication that addresses a critical need in higher education. 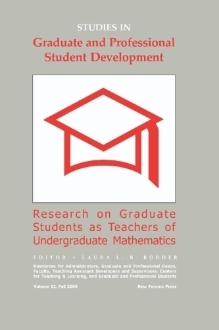 The series is designed to highlight all aspects of professional development of graduate and professional students. Dr. Laura L. B. Border is Director of the Graduate Teacher Program at the University of Colorado - Boulder.